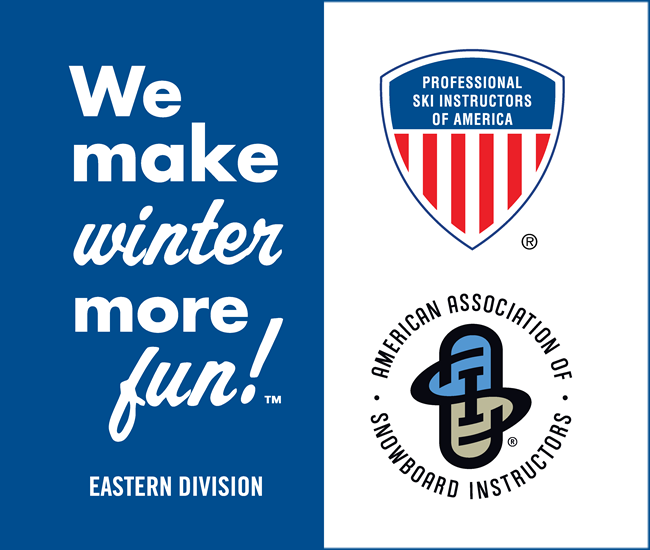 Click on the Make Winter More Fun logo above to access the current Eastern Division promotional slogan targeting skiing and riding public to take lessons from PSIA-AASI members at our consumer-oriented website. Read through, and select a FREE or PREMIUM listing, and that will take you to a page to create your account. 1. Then, once you create the account, you will get an e-mail confirmation from SNOWPRO PORTAL. 2. Then you need to UPDATE/EDIT your profile, to add all of the specifics (certs, years, etc.). Once you create & update your public listing, you can edit it at any time. You will need log back in to edit it. If you have any questions, please click here to send an e-mail with your name, your member number, and your question.